On Sunday, June 4, 2006 at 3:00 p.m. at the Riverton Grange, the Barkhamsted Historical Society joined with the Winchester and Colebrook Historical Societies to host a special program. 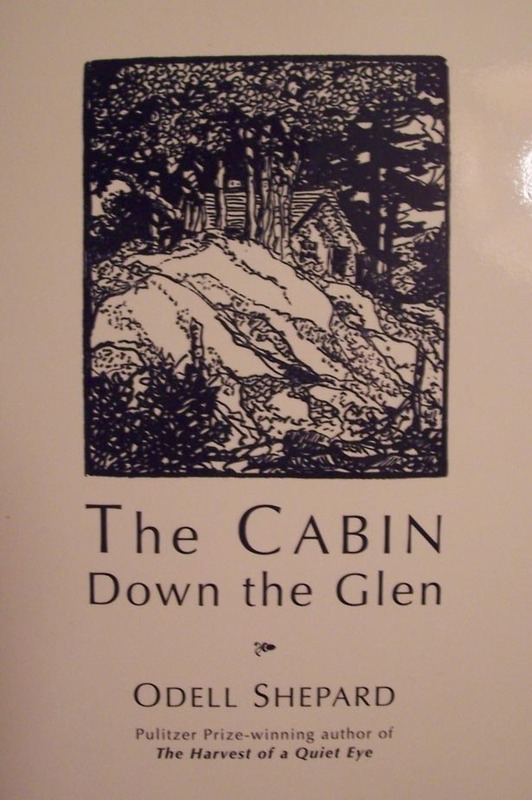 Rick Sowash, a publisher from Ohio, unveiled his recently published book The Cabin Down the Glen by Odell Shepard. Odell Shepard was a Pulitzer Prize winning Connecticut author and renowned Trinity College (Hartford) professor. He was the well-known publisher of Thoreau's journals. In the early 1930s, he built a writing retreat in the woods of Winchester adjoining the Robertsville section of Colebrook and Barkhamsted. During a year-long stay in this cabin he wrote the manuscript for The Cabin Down the Glen. The manuscript was never published and laid hidden in the Trinity library until Rick Sowash discovered it. At the book launching Dan Ringuette sang three of Odell Shepard's poems set to music composed by Rick Sowash. Copies of The Cabin Down the Glen were available to the over 120 people attending, who learned about Odell Shepard, his life and love of Connecticut. 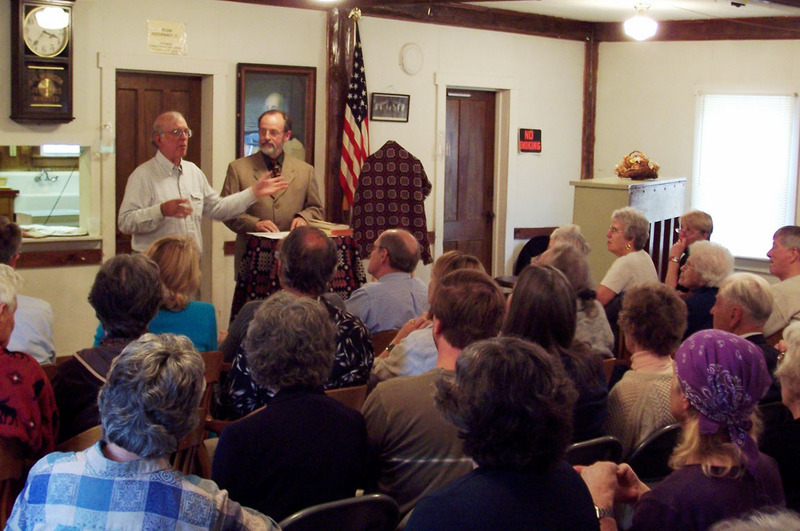 Photo above- Barkhamsted Historical Society president Walt Landgraf and publisher Rick Sowash address the audience at the Grange Hall in Riverton. 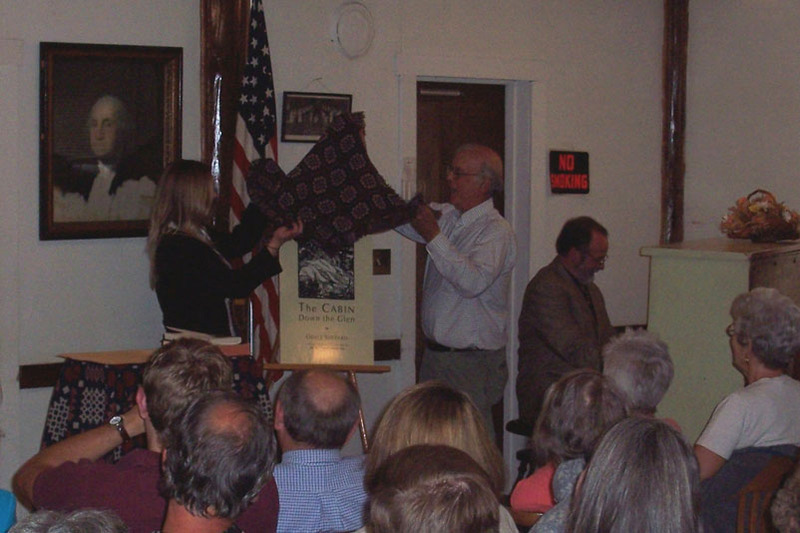 Photo above- Rebecca Ransom and Walt Landgraf unveil The Cabin Down the Glen by Odell Shepard while Rich Sowash plays a flourish on the piano. 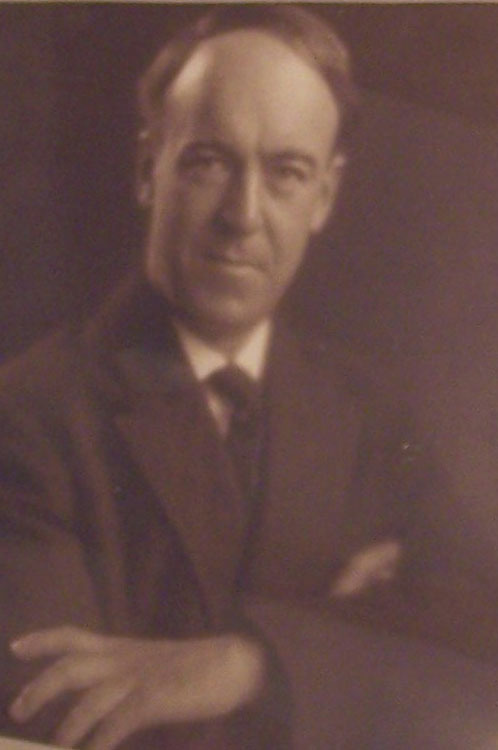 Odell Shepard, author of The Cabin Down the Glen. The Barkhamsted Historical Society has a limited number of the books for sale.